Massmart is a South African-based globally competitive regional management group, invested in a portfolio of differentiated, complementary, focused wholesale and retail formats. Walmart acquired a majority stake in Massmart Holdings Ltd. in 2011. 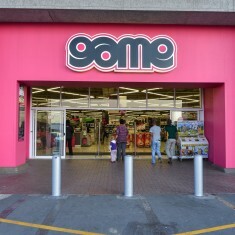 Massmart operates more than 425 retail units (as of 6/30/2018) in South Africa and 12 other sub-Saharan countries. Massmart is the second-largest distributor of consumer goods in Africa, the leading retailer of general merchandise, liquor and home improvement equipment and supplies, and the leading wholesaler of basic foods. Massbuild is a leader in home improvement and building materials, offering complete project solutions. This banner has four store formats that cater to the needs of specific markets. Massbuild promises exceptional value and offers a comprehensive range of competitively priced products, with experts on hand to offer advice on home improvement, building materials as well as DIY and gardening needs. Follows the big box or warehouse retail format. 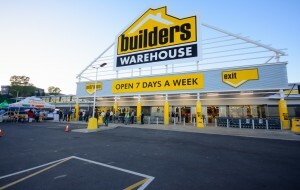 Builders Warehouse offers an extensive range of competitively priced products with a large garden center display and Builders’ supply yard. Caters to the homeowner and DIY enthusiast; focuses on a convenient location, a customer friendly store layout with pleasing displays, and personalized service and advice, making it a “one-stop” shopping experience. Caters mostly to medium- to large-sized contractors and tradesmen engaged in building, maintenance and renovation projects. The chain mainly focuses on servicing the needs of construction entrepreneurs who require trade credit, telephonic ordering and building materials in bulk, delivered from low-cost outlets. Focus on underserved markets around the country. The stores are situated in dense residential, township, rural and developing areas, and conveniently located near commuter nodes. 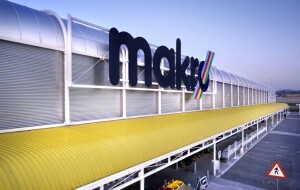 Masswarehouse is comprised of two store formats: Makro warehouse-clubs, which trade in food, general merchandise and liquor in South Africa; and The Fruitspot. Trades in food, general merchandise and liquor with stores located in major metropolitan areas, operating under a low cost/low margin trading philosophy. 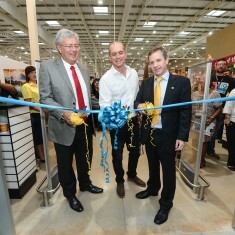 Makro’s consumers include retail and commercial customers and traders. A wholesaler and distributor of fresh and cut fruit and vegetables. Massdiscounters is a general merchandise discounter and food retailer. Massdiscounters is comprised of general merchandise and fooddiscounter Game and hi-tech retailer DionWired. 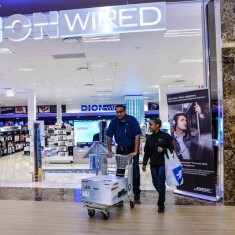 DionWired offers the latest in-home entertainment, computing, video and digital photographic equipment and appliances. The Tech experts manning its in-store Hi-tech Smart service centers are on hand to offer the best advice, onsite repairs and services. 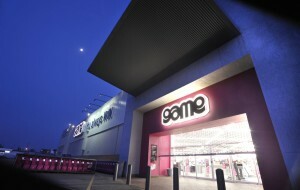 Game is a discount retailer of general merchandise, as well as non-perishable and dry groceries for home, leisure and business use. This banner operates throughout South Africa and in 14 cities in sub-Saharan Africa. Masscash consists of a wholesale division with cash and carry food and cosmetics businesses, and a retail division which consists of food outlets that target the lower Living Standard Measurement (LSM) groups. Our wholesale division consists of CBW, Jumbo Cash and Carry, Trident, Saverite, Liquorland and Shield. 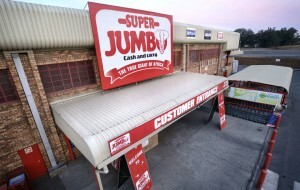 Jumbo Cash & Carry is a low-cost, no-frills wholesale business providing general merchandise, cosmetics and food products in bulk to a range of independent traders and commercial users throughout Southern Africa. The business focuses mainly on the entry-level to middle-market trader segments. CBW and Trident wholesale food, liquor, groceries and cosmetics in bulk to independent dealers, government feeding schemes, franchise members, small traders and hawkers in peri-urban and rural areas within southern Africa. Cambridge and Rhino stores sell a hand-picked range of high-quality national brands, plus goods they source and pack themselves under their own brand label, across all major categories. Shield is a voluntary buying association that buys products in bulk on behalf of 523 members who own wholesale or retail businesses in South Africa, Botswana, Namibia and Swaziland. Massmart’s corporate accountability proposition is to achieve commercial success by adopting a mass distribution business model that proactively incorporates the input of our stakeholders to effectively integrate commerciality and accountability. Our initiatives are wide ranging and extend from integrating small holder farmers into our supply chain, rationalizing private label product packaging and improving store energy efficiency to championing black economic empowerment and increasing employee access to affordable private healthcare benefits. 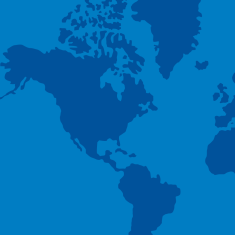 View the 2018 Global Responsibility Report to learn more about Massmart's global initiatives.